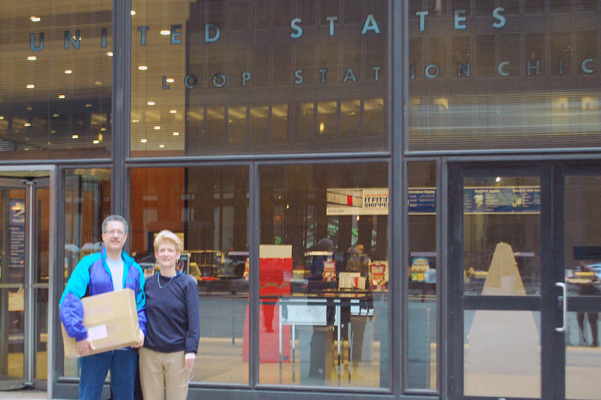 Two members of DOE Projekts, Glenn Doering and Deborah Adams Doering, were first in line at the Chicago Post Office at 7 am today. 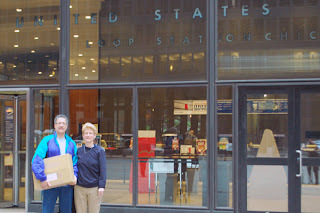 The fabric with the "Manifest O" outlines is now on its way to South Africa and the KAP artists! The tapestry work will begin when the package arrives in Hamburg, South Africa.